Josh & Bree are lovers of LOVE! They've been married for almost five years, have two beautiful children and a fluffy pooch. Josh's background lies in community services and Bree has over 18 years experience in event management and hotel sales. They are both passionate about creating new and exciting ways for people to celebrate their union. Having lived on the Gold Coast for over 30 years they know where to find the best secret pop up locations that will truly take your breath away! They regularly go hunting to find the most amazing ocean views, the most romantic hinterland settings and the most hip hotels…. all where you can achieve your dream wedding on a budget. Bree's in the business of making people happy - so whether you're planning an elopement, small and intimate gathering or a large wedding, she is able to help you design a package that's all about you. Bree has a vast background in both corporate and social event management and she's organised and planned over 180 weddings in her career! She can help you through the entire planning process from choosing your perfect venue, piecing together suppliers that really match your style, or bringing that special touch to your ceremony. There's nothing she won't do to take away the stress of your big day! Bree can also act as your Celebrant for your special day, being fully registered as an Authorised Celebrant on the Gold Coast and surrounds for over six years. See more of her work in this field at Be Weddings & Events. Lisa Knell is Civil Celebrant who knows what it means to have the day of your dreams. She will always take the extra time and go the extra mile to ensure that everything runs smoothly during your ceremony. She respects that ceremonies involve a serious commitment between two people but will also sprinkle a little fun to make you and your guests feel super comfortable. Lisa has had extensive experience in hosting a number of networking breakfasts, lunches and dinners is confident with public speaking in front of both small and large groups of people. She’s also really good at adapting to the atmosphere in the moment! We’re proud to have Lisa from Custom Ceremonies on board to help get you hitched. 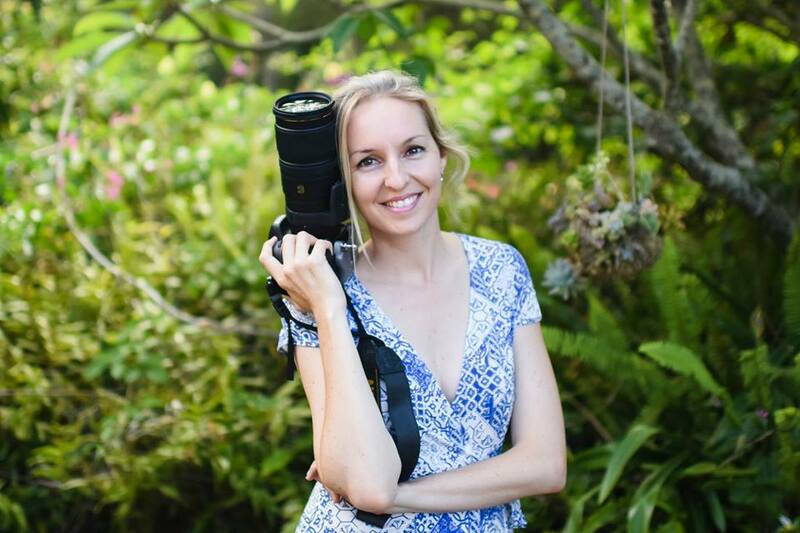 Amy from Amy de Boer Photography has been shooting weddings for 10 years. Her passion for capturing candid moments of love between people is what she lives for. Amy is super cruisy, fun and gets incredibly excited to document extraordinary moments in time. She makes people feel comfy and unposed in front of her cam, and just to pre warn you, she will probably cry at your wedding and sometimes laugh so hard that she snorts! Amy studied photography back in the day when she had to roll her own film and process her own photos in the darkroom. She is happiest when she has some awesome people by her side, and her camera around her neck, ready to create magic. See more of Amy’s incredible work here. Yoko of Yokos Photography is a wedding and lifestyle photographer who's style is natural and beautiful with an editorial flair. She's a big fan of film photography which is super cool in the modern wedding world. Yoko developed her passion for wedding photography soon after her first son was born, 10 years ago. As he became an important part of her life she relished every opportunity to capture special moments in time. Yoko would love nothing more than to photograph your special day creating modern, stylish images that truly represent you as a couple. See her full scope of work here. Hayden Phoenix is an internationally known Portrait and Wedding photographer. He has recently immigrated to the Gold Coast from Europe after living in England and France for the last 13 years. Hayden is passionate about using natural light and nature as the backdrop to create beautiful images, with an emphasis on minimal simplicity. Combining his fashion background with a reportage style has helped him develop his own unique vision which he continues to develop and refine with each new Portrait session and Wedding. You can check out more of his outstanding work here. Tamara and Gemma are a duo team who create video content to share incredible stories of everyday people. Owner Tamara's background lies in film editing for Channel 7, travelling and filming international businesses throughout Europe and of course capturing her love for a whole lot of weddings! You can see a range of wedding videos via her blog and online gallery here. Cute, funny, elegant, vintage, bespoke, extravagant or anything in between.... there is nothing that cake connoisseur Sara Bentley can't create! Her own successful cake and catering business, Sugarize Events, is a fully licensed off-site business that specialises in catering for special events such as bridal showers, weddings, baby showers, engagement parties, housewarming parties and more! Sara also makes a variety of custom showpiece items such as strawberry towers, macaron towers, doughnut towers and doughnut walls for events. She loves combining delicious food with with beautiful styling to create unique experiences. This includes food stations such as taco bars, gelato stations, pancake stations, picnic hampers, styled brunch platters and more! Sara creates all our delicious cakes at Gold Coast Pop Up Weddings and you won't be disappointed with everything Sugarize has to offer. Leaf en Bloom provides floral for every kind of Bride. Uniquely tailored to each individual, the end result is undeniably beautiful and timeless. Kirsty, owner of Leaf en Bloom has been a florist for over 20 years. She has worked on weddings throughout the Gold Coast, Brisbane, Sunshine Coast and Byron Bay. She developed her craft from European florists when she spent time aboard and has worked side by side with Horticulturalists. Kirsty is a true local talent, someone who without a doubt lives and breaths all things floral. Her passion, eye for detail and intuition for following trends just shines through in all of her creations. Keep up with her Facebook page here. Tahlia has a huge passion for the wedding and event industry and is a true creative at heart. Her speciality lies in design, social engagement and communications. Tahlia works behind the scenes but her work is on show to all our potential Brides, Grooms, Bridesmaids, Groomsmen, families, friends and more! Tahlia will often be the person you consult with for all the finer details of your day as she coordinates and schedules all our pop up weddings. You will most certainly feel her warmth and smile on the other side of the phone or computer before you even meet her in person!